The New Humanitarian | Will pressure make Chinese aid more transparent? Will pressure make Chinese aid more transparent? Critics have long characterized China as a secretive donor in economically poor but resource-rich countries, funding infrastructure construction in an unspoken bid for business deals and access to natural wealth and land. While China disburses aid with a scant paper trail, analysts say strong-arming its government to boost transparency - and aid efficacy - may hurt countries in need. In Southeast Asia, Chinese-funded projects have become ubiquitous in Cambodia, Laos and Myanmar, countries once passed over by traditional donors. 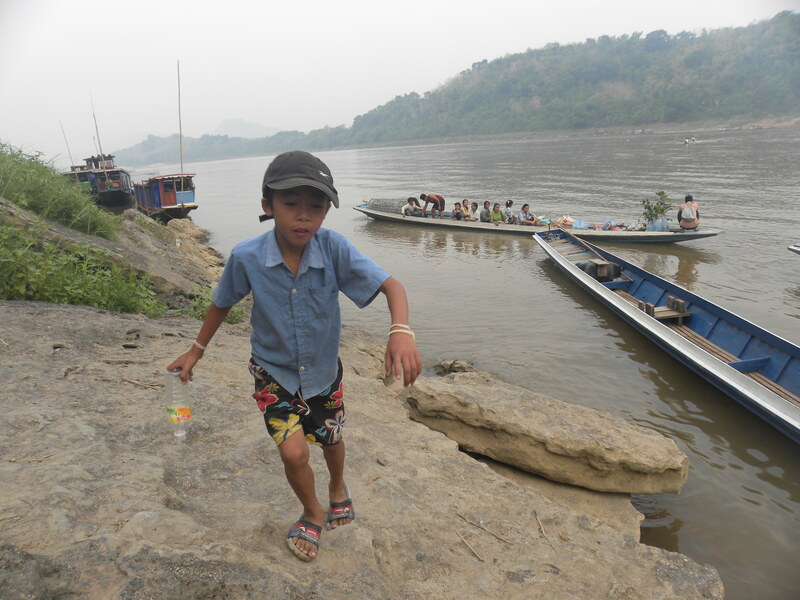 In river-rich Laos, a government development plan calls for 55 new dams to generate hydroelectric power, many of them funded by Chinese state-owned companies. Laotian media reported that China’s government recently signed five agreements pledging more than US$30 million to build government offices. Cambodia’s Prime Minister, Hun Sen, inaugurated one of the largest Chinese construction projects in the country in December 2011, a dam in fertile Kampot Province in the southeast. 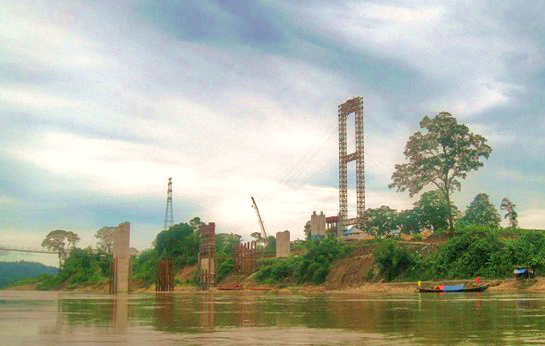 This project comes on top of $1.2 billion the Chinese government pledged to Laos in 2010 - more than any other bilateral or multilateral donor. Officials also welcomed Chinese aid in August 2011, when the World Bank suspended new loans to the country after finding that a Bank-financed land-titling project failed to secure property rights for residents facing eviction. Cambodian leaders - including the prime minister - have repeatedly stated they are not worried about losing World Bank loans (which currently total $131 million) because they prefer “no strings” Chinese aid. Elsewhere in the region, local media have reported ongoing talks between the Burmese government and the China Power Investment Corporation to restart construction of the US$3.6 million Myitsone Dam, which Burmese president Thein Sein suspended in September 2011 over concerns about transparency and environmental damage. Despite the chronic tensions between China and Myanmar over drug trafficking, refugee outflows and ethnic conflicts along their shared border, the Chinese government is one of Myanmar’s largest investors, according to Burmese government statistics. In 2008 there already were some 90 Chinese-funded hydropower and extractive industry projects, according to a survey by the US-based EarthRights International NGO. With almost no information available about China-funded projects in the public domain – including their potential environmental impact – EarthRights relied on company press releases and government statements. Other NGOs in the region have complained that environmental impact assessments are often not open to local communities or there is too little time to comment. Chinese aid is disbursed in line with its policy of staying out of other countries’ governance, as laid out in its April 2011 aid position paper. “It might interfere in other ways, like currying favour and obtaining sweetheart deals for its companies…Their Ministry of Commerce determines the aid, which tells you just what's driving their considerations,” said Sophal Ear, a California-based political economist specializing in aid and governance. China’s estimated $3.18 trillion in foreign exchange reserves can be “enormously” transformative for poor countries, Ear added. Aid watchdog NGOs like the London-based Publish What You Fund use publicity to urge China to be more forthcoming with its aid figures, hoping such scrutiny will help money get to the people who need it most. The NGO lists China as “very poor” in aid transparency, ranking it the third least transparent donor out of 58 ranked in 2011. Its position was determined by 38 indicators, such as the passage of freedom of information laws and participation in the International Aid Transparency Initiative (IATI), a London-based group of donors and NGOs that have set aid disclosure standards. “The problem is that China is not systematically releasing its information,” said Karin Christiansen, Publish What You Fund's director. The country is increasing aid transparency at its own pace, say observers. On 1 December 2011, China publicly declared transparency a principle it upholds when it signed an agreement at the Fourth High Level Forum on Aid Effectiveness held in Busan, South Korea. The word “transparency” appears four times in the document, which includes a pledge of “zero tolerance for all corrupt practices”. It also notes that “the nature, modalities and responsibilities that apply to South-South cooperation differ from those that apply to North-South cooperation”, and the complexity of “new actors”, who may still face poverty at home but want to share lessons and experiences along the way. Even with the will to boost aid transparency, China still faces a “diplomatic dilemma” in enforcing it: to meet compliance both sides must be willing and able, and recipient countries with weak governments often have poor aid oversight. “To carry out this principle [transparency] is not so easy in practice because it is influenced by circumstances of the governance structures of recipient countries and diplomacy, sometimes requiring some form of confidence,” Wang said. Labelling the Chinese government as a “rogue donor” is disparaging and inaccurate, noted Germany-based researchers in their study of determinants of China’s aid in October 2011. The researchers concluded that contrary to reigning perceptions of Chinese aid, the country is not a “rogue donor” - it disburses grants within national interests, as do other government donors. Countries that do not recognize Taiwan as an independent country, and vote in line with China in the UN General Assembly, receive more aid, for example. In 1950 during the Chinese Civil War a breakaway faction fled to Taiwan and established a separate government known as the Republic of China, but the People’s Republic of China on the mainland does not recognize the island state and continues to assert itself as the sole government over both the mainland and the island in what it calls the “One China” policy. Criticism of aid transparency is not directed at China alone - Publish What You Fund lists the US Department of Treasury as “very poor” in aid transparency, with a ranking of 49 out of 58, only six slots above China - but China has further to go in aid governance than most, Joshua Kurlantzick, Southeast Asia fellow at the US-based Council on Foreign Relations, told IRIN. Most US government agencies have an inspector general, strong requirements under the Freedom of Information Act, and “release most of what they do to Congress [parliament]. You can't say the same for China,” Kurlantzick said.